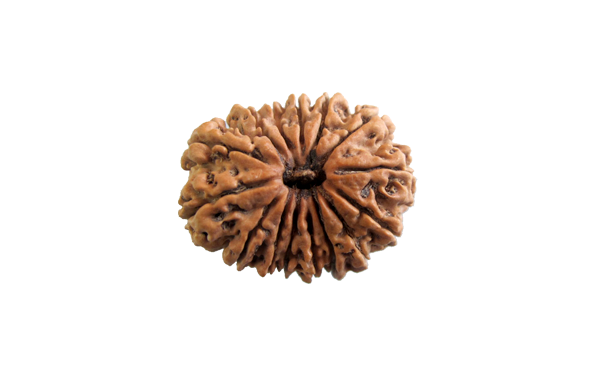 15 mukhi rudraksha is a very rare and powerful rudraksha. It is ruled by Lord Pashupatinath, a form of Lord Shiva. It helps channelize thoughts and to remain focused. It is recommended to increase intuitive power, energy levels, concentration and memory. It is very useful in pacifying emotional disturbances. 15 Faced Rudraksha gives even more benefit when worn with Rahu yantra. Benefits: Power, prosperity, knowledge, cures all diseases, easy delivery, protection from miscarriages, elimination of skin diseases.